Zakkia Concrete Round Tray - BEST SELLER! Home » Shop » Brands » Zakkia » Zakkia Concrete Round Tray – BEST SELLER! 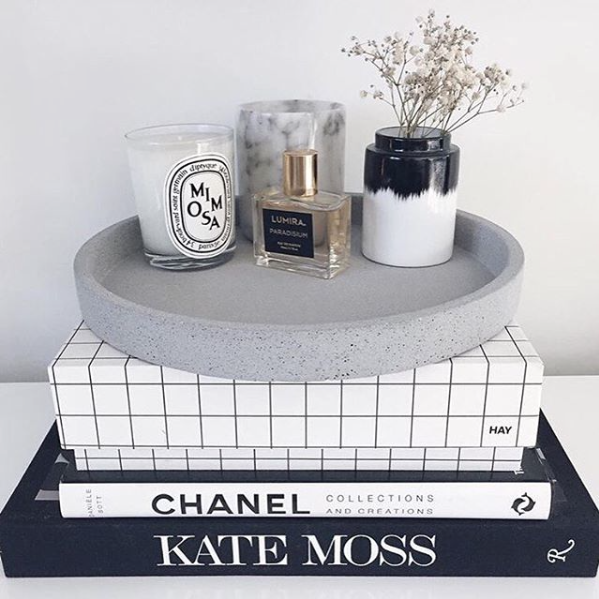 This beautiful concrete round tray by Zakkia has a solid feel to it, it’s perfect for keeping your kitchen bench organised or serving guests’ drinks on. It’s also a favourite of ours for styling your perfumes, candles, vases & much loved treasures. This hand made tray has been designed with a mix of concrete, stone powder and polystone; giving it that relaxed concrete feel, whilst being a lot stronger than normal concrete.